Diamondoids are nanodiamomonds with well-defined structure and electronic properties potentially interesting for different applications including field-emission displays, electron microscopy and beam lithography[W. L. Yang et al. Monochromatic electron photoemission from diamondoid monolayers. Science 2007, 316, 1460-1462], and in rectifiers [patent #US 20110082053]. Functionalization of diamondoids influences properties of such devices, thus we have studied conditions for selective functionalization of oxadiamondoids and provided mechanistic explanation of experimentally observed products distribution, which can be used for future predictions. We have shown that electrophilic nitration of oxadiamondoids proceed via H-coupled electron transfer (HCET) mechanism rather than via text-book 3c-2e transition states. We have also demonstrated that this is true for other alkanes and with other nitration agents. In addition, we have shown that electron doping strongly influences relative stabilities of the dihydrogenated fullerene C60 and generally decreases energy differences between regioisomers. We have also demonstrated how problematic is use of DFT methods for description of highly charged species with close relative energies. 2. 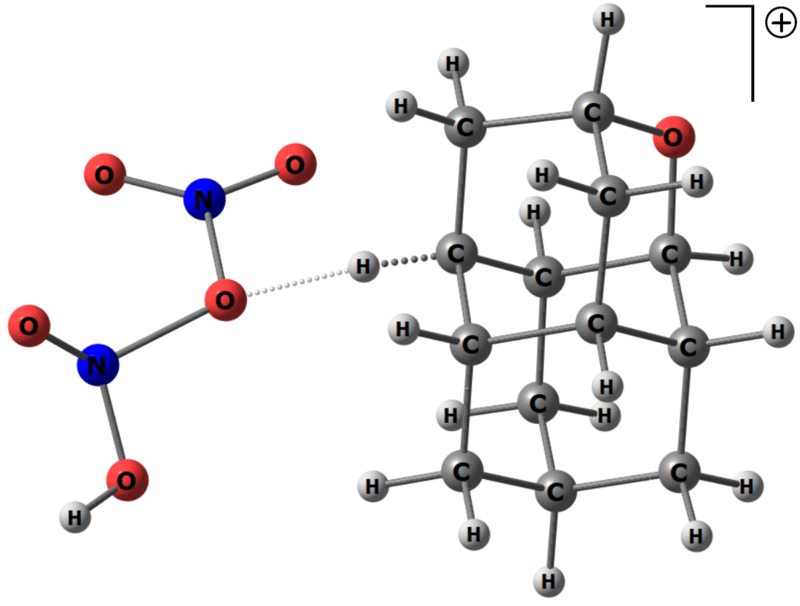 Pavlo O. Dral, Tatyana E. Shubina, Andreas Hirsch, Timothy Clark, Influence of Electron Doping on the Hydrogenation of Fullerene C60: A Theoretical Investigation. ChemPhysChem 2011, 12, 2581–2589. DOI: 10.1002/cphc.201100529.